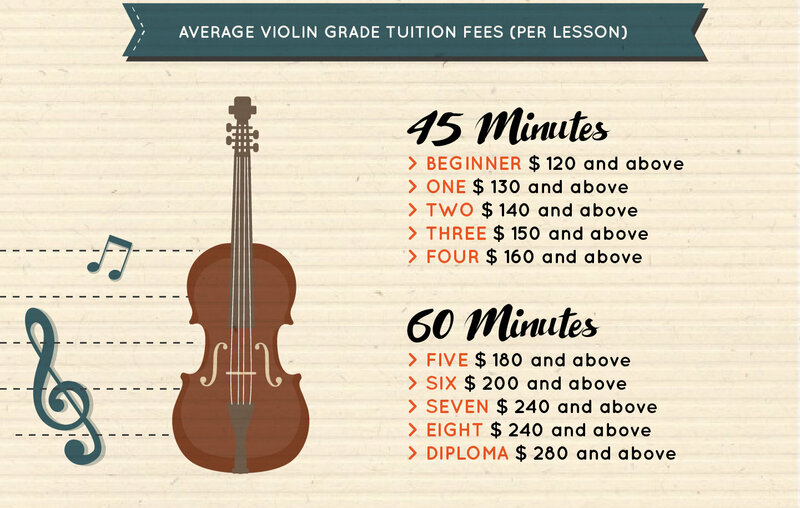 Looking around for the right music school for your children? 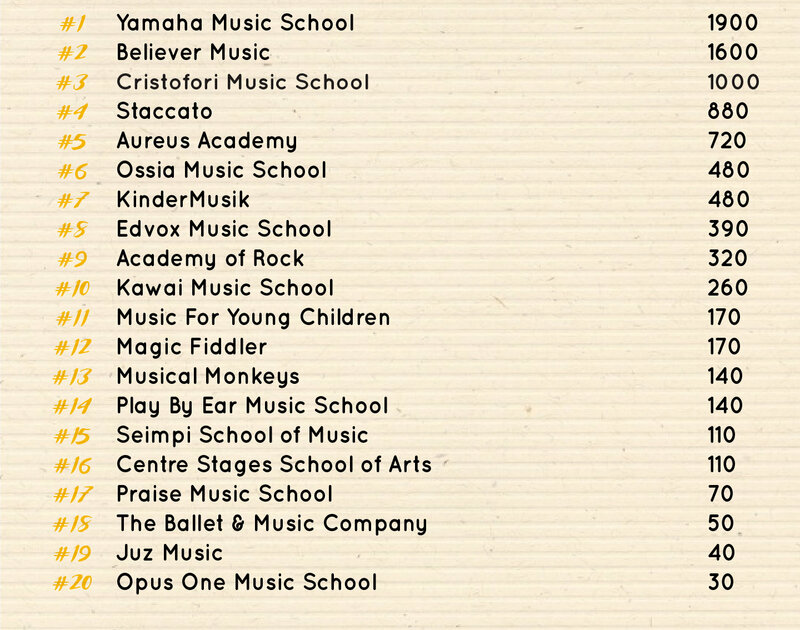 We have listed down all the music schools in Singapore for you! Every day hundreds of families visit Skoolopedia to source information on enrichment programmes and tuition classes. Ensure these families find you by listing with Skoolopedia. 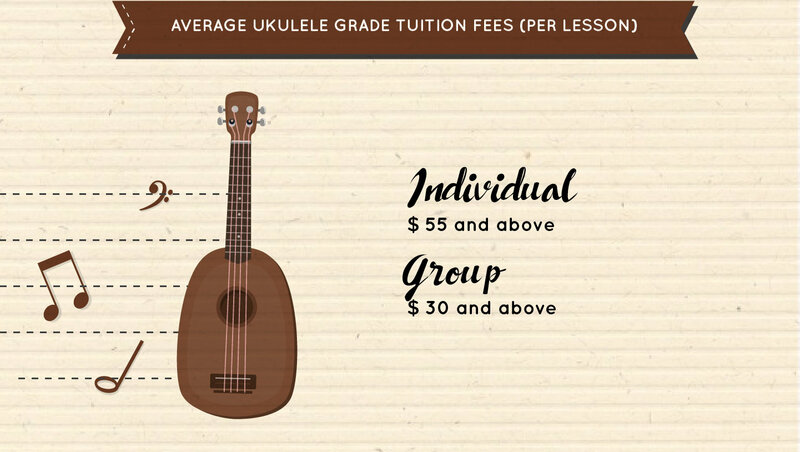 Music lessons: piano, guitar, drum, violin, ukulele, cello and flute. 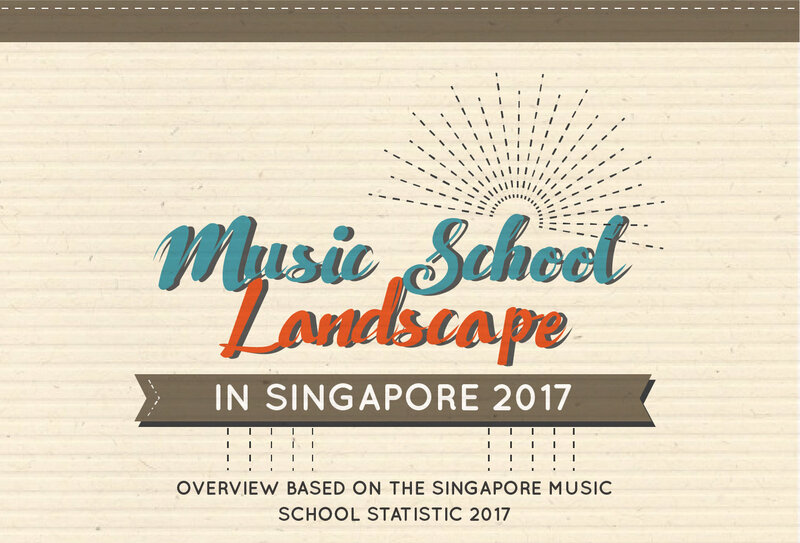 The Singapore Music Schools Statistics 2017 provides an update on the state of the music lesson and music schools landscape in Singapore. 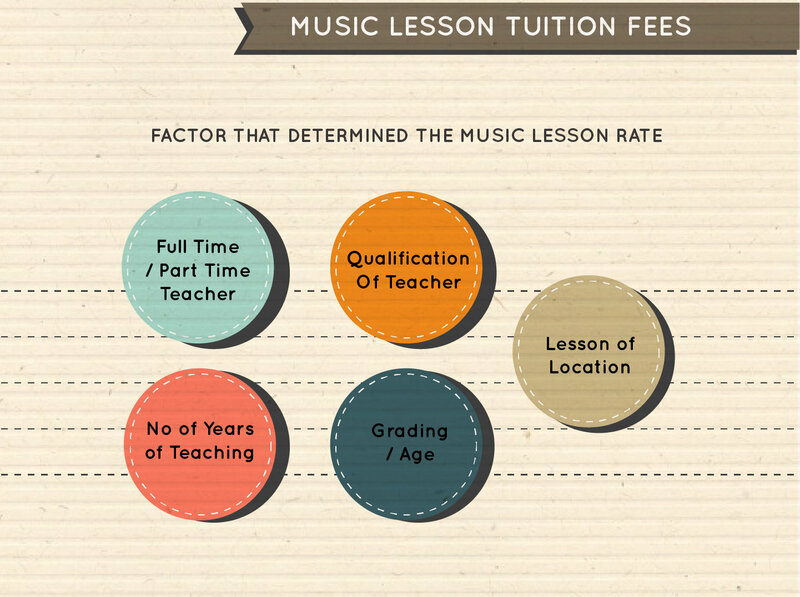 The statistics reported in this publication include data on number of music schools, top music schools brands and top searches regarding to music lessons on Google Search Engine. 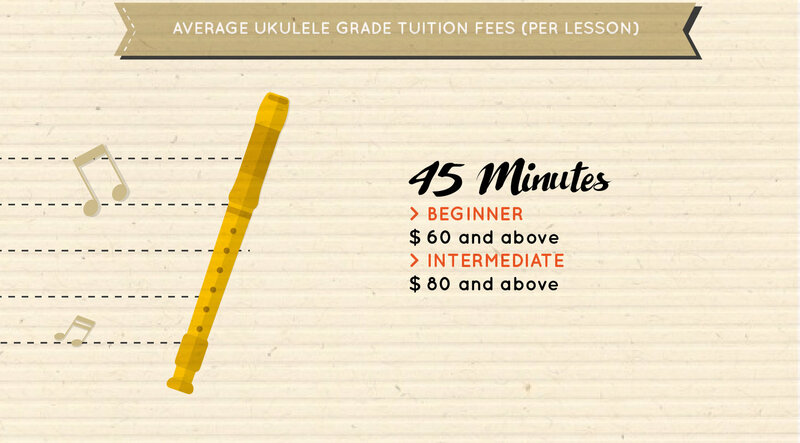 Music, being an integral part of many cultures, also provide means to raise global awareness amongst students. The processes involved in music performing and creating develop skills such as listening skills, fine motor skills, creative thinking skills and social skills. 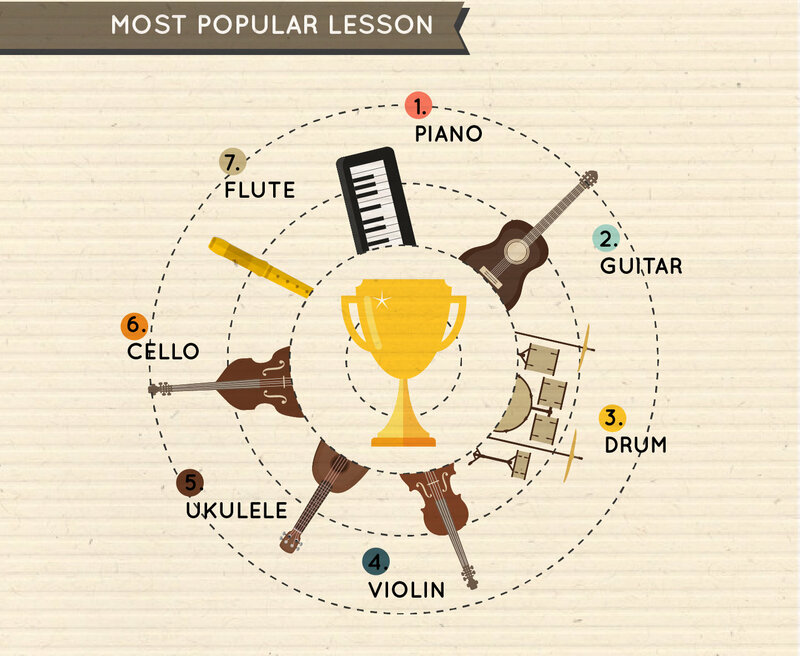 Music enables students to express their thoughts and ideas. 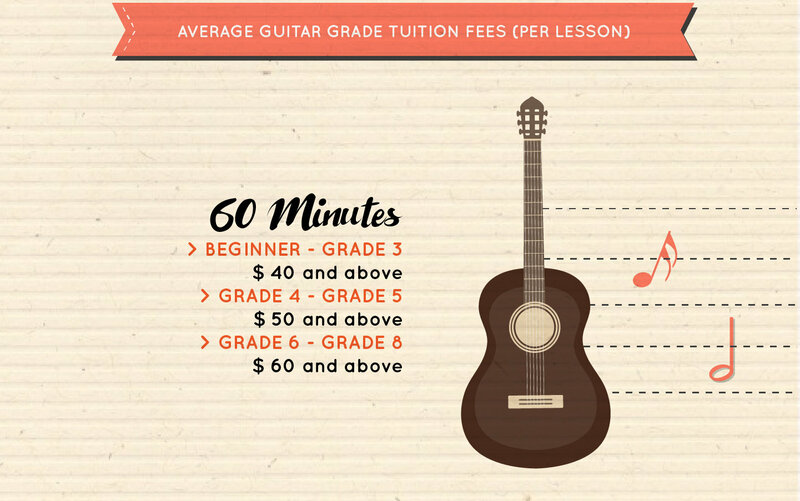 Note: If you are looking for additional enrichment classes apart from music lessons, we have put together a general enrichment classes infographic guide for you at Guide to Enrichment Classes and Tuition Centres in Singapore. 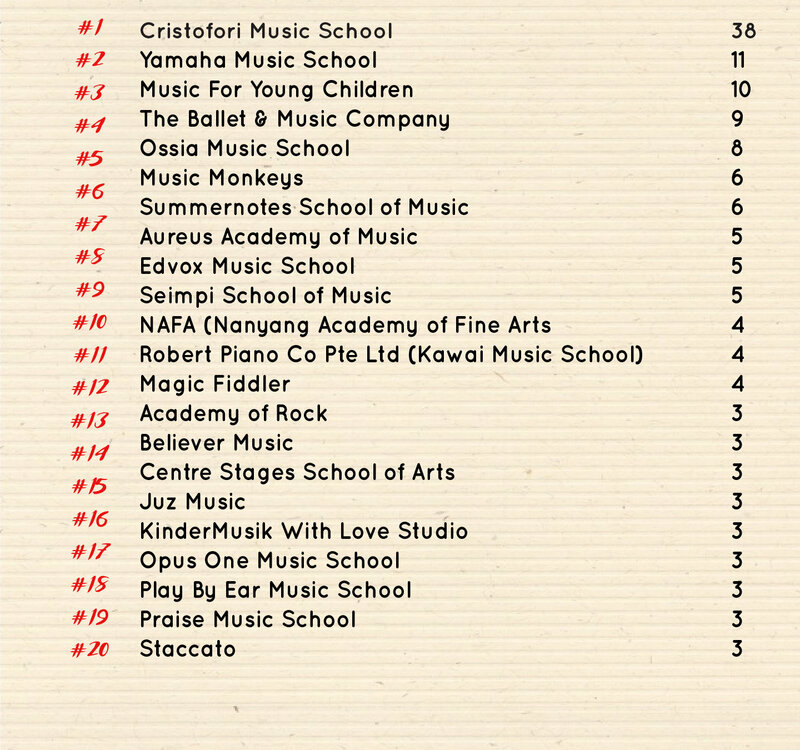 There are 261 Music School Centres in Singapore (as of November 2016). 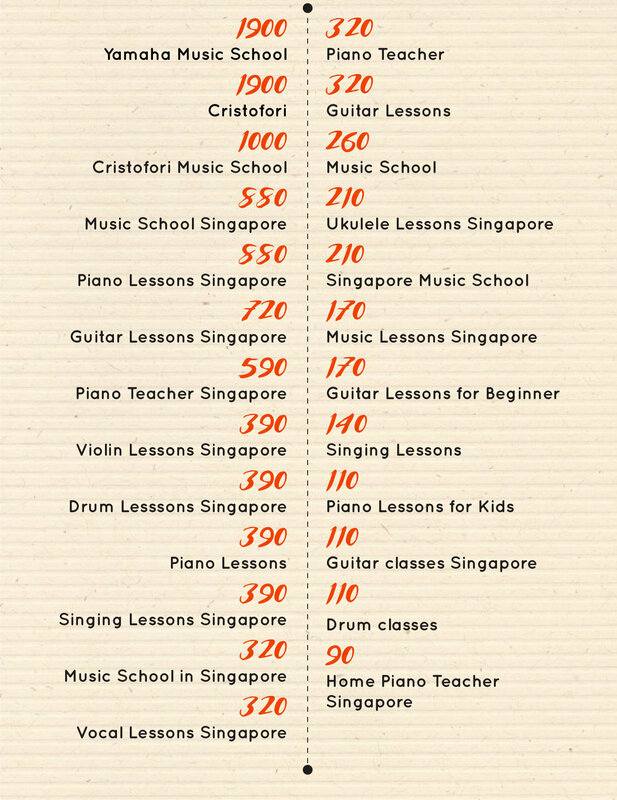 According to the Singapure Cultural statistics 2015, there are about 1671 Music Companies in Singapore. 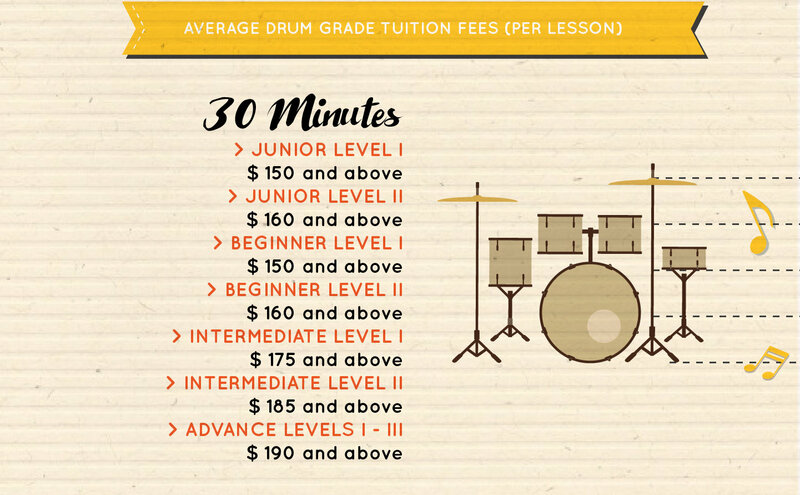 There is a total of 123 Brands in Singapore, offering music related classes. 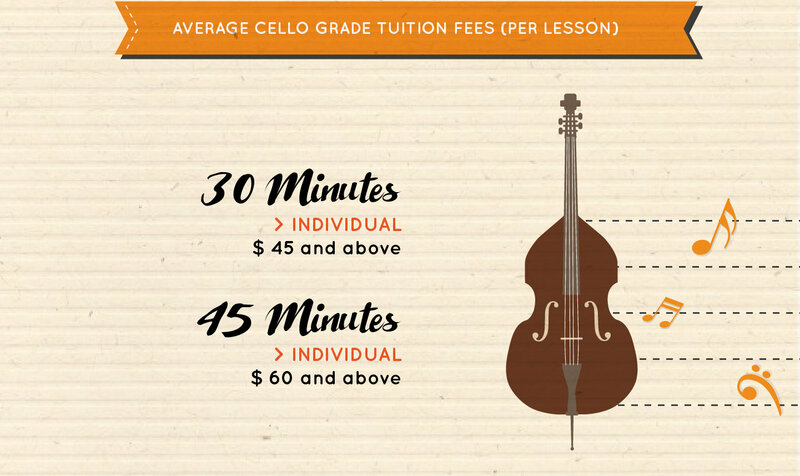 Per lesson Tuition Fees for music learning ranges from $30 to $200 per month. 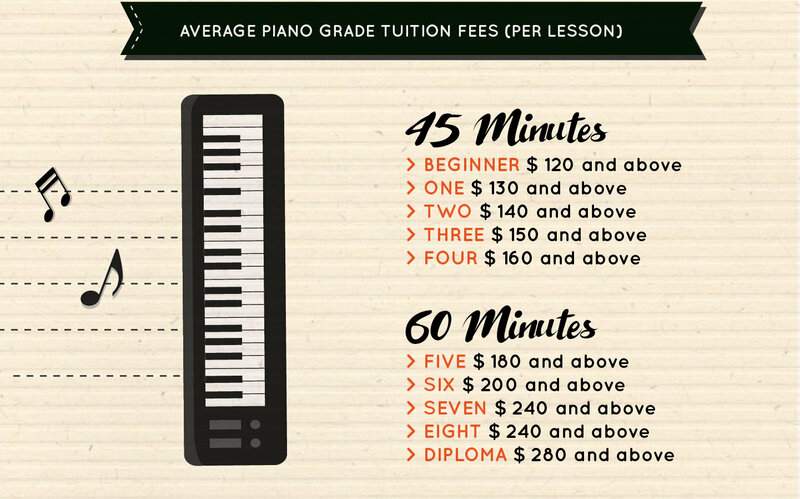 Among all the music lessons, piano lesson is the most popular, followed by guitar lesson.